Canadian Wildlife Federation: Should you keep your bat house up over winter? Q. I’m cleaning up my garden and wondered – should I be taking the bat house down for the winter or keep it up? A. Generally, a bat house does not require much maintenance and does not need to be removed for the winter. 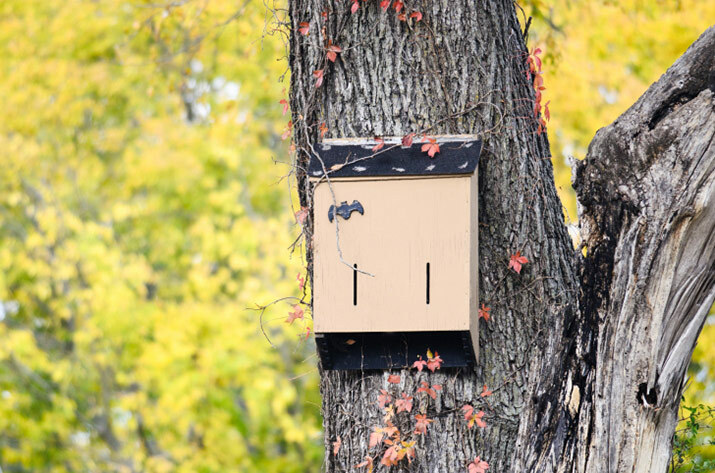 In late fall once any bats have left, you can check your bat house for any structural damage that needs to be repaired before bats return in the spring. Otherwise, you can turn your attention to other things on that to-do list! You may be asking – where do bats go in the winter? Basically, they migrate or hibernate. For instance, the hoary bat migrates south. Others, like the little brown bat, leave their summer roosting sites to hibernate in suitable caves, abandoned mines, even deep crevices. These sites are humid and stay above freezing – much warmer than most of Canada’s chilly winter temperatures! Still others, like the big brown bat which can tolerate cooler temperatures, are able to hibernate in buildings.